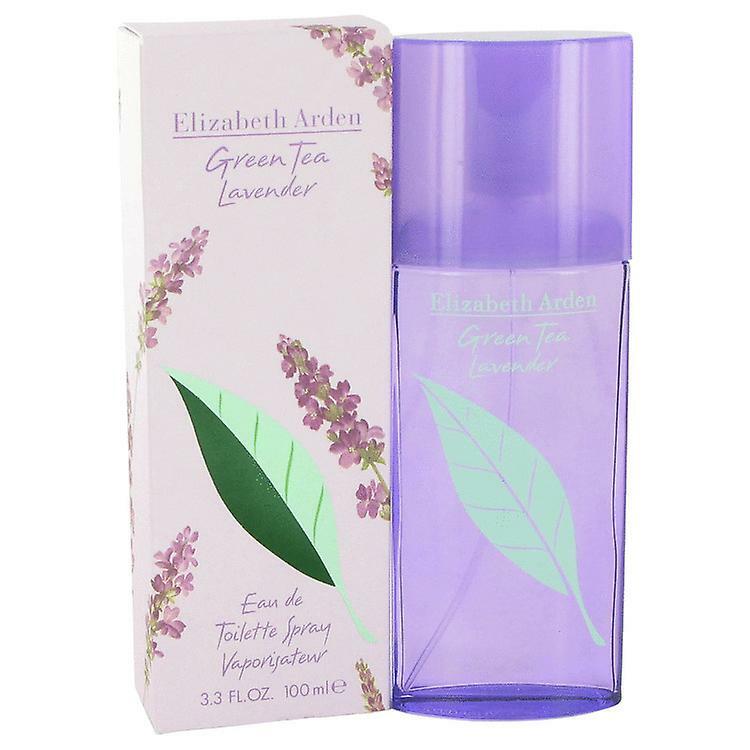 Elizabeth Arden Green Tea Lavender Eau de Toilette 100ml Spray by Elizabeth Arden.Product Details: Brand - Elizabeth Arden Gender - F Size - 100ml Product Type - Eau de Toilette Collection - Green Tea Lavender RRP - £33.00Green Tea Lavender Perfume by Elizabeth Arden, Green Tea Lavender perfume is an enticing blend of three distinct layers of scent . First, comes the delightful bright, clear, top notes of spearmint and chamomile blended with the zest of citrus notes from Sicilian mandarin and Amalfi lemon. Then comes the richer, heady heart notes of Chinese magnolia, green tea, lavender, and oolong tea. Underneath it all, the fragrance closes with the aromatic undertones of power in the essence of ambrette seed,birch, and musk, the deep, earthy tones that give this perfume its full, invigorating yet relaxing quality. This perfume has been described as bright, peppery, and slightly creamy. The fragrance comes in a lavender bottle.